If you are in need of an electrical services provider to handle an installation or troubleshoot a problem at your Wayland, Massachusetts, home, consider VMA Electric. We are a full-service electrical company that can navigate any type of electrical project, and we have prided ourselves on providing skilled installation and repair services since our company’s debut in 2008. 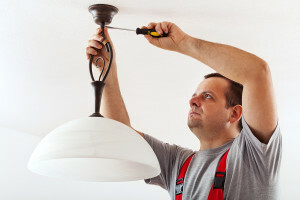 We employ some of the most experienced technicians in the region, and you can be sure that your job will always be performed by a licensed electrician, often with an apprentice working by their side. Additionally, our owner, Victor Archila, is so committed to making sure that customers are satisfied with the work that we do, that he tries to be personally involved in every project. And, since you can never predict when a problem may arise, we have an electrical services technician available 24 hours a day, seven days a week in case of emergencies. That’s because we have a passion for providing homeowners throughout the Wayland, MA, area with the type of personalized customer service they deserve. To learn more about the variety of electrical services we can provide for residents of Wayland, MA, contact VMA Electric today.